Have you missed me?? I promise I'm not dead, I've just not been melting much lately. Nor have I been taking care of my nails. Oops. I'm going to get sooo mad at myself once I start up my nail care again. Anyways, on to the review! Scent Description: This was a hard to describe scent for me. There is a sweet musk, something else, and a hint of blackberries. I couldn't tell you what that 'something else' note is, but it is very pleasant. Maybe vanilla, but I couldn't be sure. In any case, I absolutely loved it! Scent Throw: 4/5 The only room this didn't reach was the bedroom. 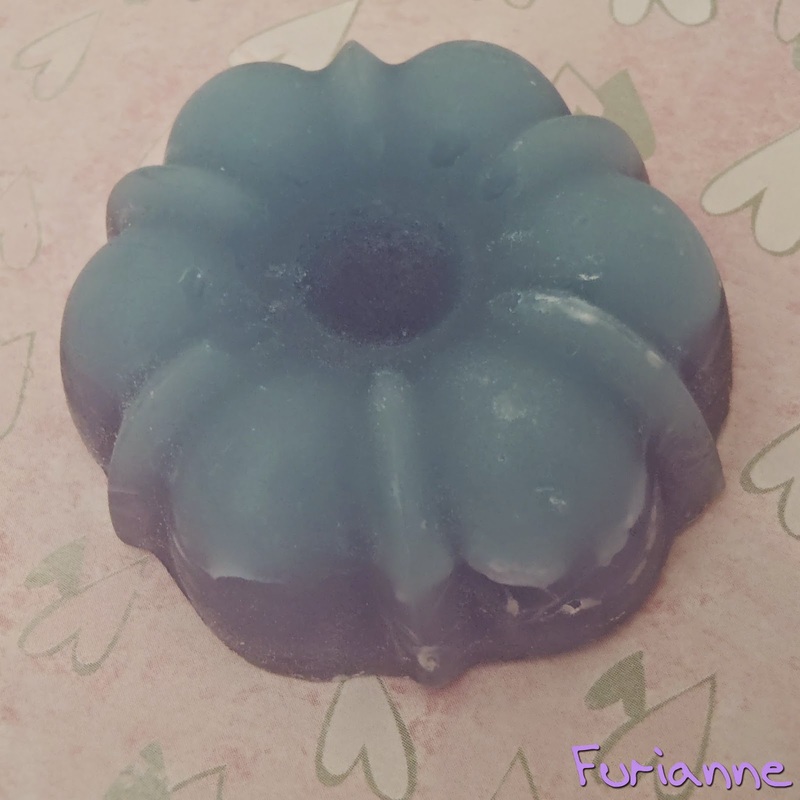 Melting Power: 4/5 I got about 16 hours of strong scent from this tiny tart! Wow! Repurchase: Yes! I loved it! This really isn't helping me try and cut down on what I'm buying so I can use up wax that I've had forever! I just know I would love this one. Sounds amazing. My nails always look heinous but I was a horrid mail biter so I just assume these are the side effects. I still love to paint them. Whatcha been up to? On the go too much to melt or not felt like it? If Carol has this one at the next opening I can buy on I will definitely pick up a bag. It was gorgeous! Nail biting really does affect how nails grow. I know you can recover from it, but it takes a lot of dedication to taking care of your nails. Ain't nobody got time fo' dat! I've kind of had a mix of too much on the go and not feeling like it. I've been spending so much time taking care of stuff with Michael in preparation for our move (which, by the way, we still have no clue where we're going and we're a month and a half away from it). By the time I get home I just want to relax and I don't even want to bother getting out the camera for pictures of what I'm melting. Most days I haven't even melted anything. Then the days where I do have time to I find I'm not in the mood for melting so I just don't. It's been a weird few weeks for me. I think it's the weather. It's messing with me!